The 17th International Health Workforce Collaborative (IHWC) Conference in April this year has resulted in the release of a new report entitled “Towards better health for vulnerable communities: The design and delivery of health and social services under conditions of future uncertainty”. The report was authored by Dr Tom Aretz, Vice President of Global Programs at Partner Harvard Medical International, Professor Des Gorman, Associate Dean of the Faculty of Medical and Health Sciences at the University of Auckland, and Dr Murray Horn, a former Secretary to the NZ Treasury and CEO and Managing Director of the ANZ Bank. The IHWC conference, which brought together policy makers, researchers, academics and practitioners from all over the world, was sponsored by Cambridge Boxhill Language Assessment (the makers of the Occupational English Test) and used design-thinking approaches to address a common issue – vulnerable communities that are under-served. How to provide effective and efficient health services for itinerant communities. The individual solutions generated for each scenario resulted in consensus that a different approach is needed for the design and delivery of health and social services. This different approach, the report proposes, includes the need to involve users, a new planning template that accommodates the inherent uncertainty of the future and addresses the recidivism of the status quo, and the implementation and augmentation of health services through smart contracting. In addition, a definition of success as the lowest cost to deliver contracted outcomes and an ‘action-research approach’ that accepts ‘fast failures’ and ‘process-plasticity’ were deemed essential. Separate and more detailed papers will follow from Dr Aretz (Identifying user requirements and employing design thinking in healthcare) and Dr Horn (Funding innovative healthcare). Cambridge Boxhill Language Assessment (CBLA) is a venture between Cambridge Assessment English (part of Cambridge University) and Box Hill Institute, Australia. CBLA owns and administers the Occupational English Test (OET) – an international English language test that assesses the communication skills of healthcare professionals seeking to register and practise in an English-speaking environment. 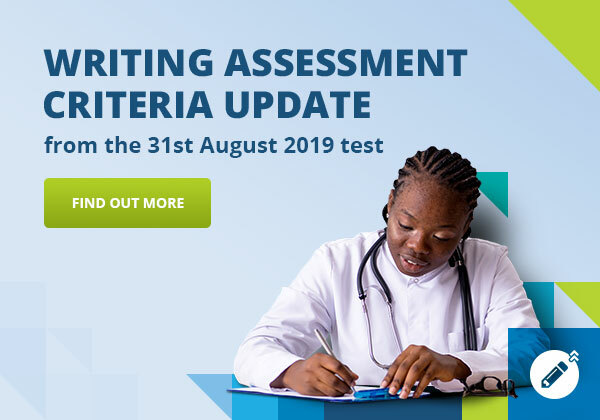 OET results are accepted as proof of English language proficiency by major healthcare boards and councils in the UK, Ireland, Australia, New Zealand, Dubai, Singapore, Namibia and Ukraine. OET is also recognised by the Australian Department of Immigration and Border Protection and Immigration New Zealand for all visa categories where proof of English language skills is required. For more information about OET, visit: www.occupationalenglishtest.org.